Mainstage Center for the Arts will offer an assortment of youth camps this summer. For children interested in music, dancing and the magic of putting on a show or creating a film, Mainstage Center for the Arts’ Summer Stage offers wonderful opportunities. At Summer Stage performing arts and video film camp, hundreds of children from throughout southern New Jersey embark on magical adventures, sharing smiles while they sing, gaining confidence as they learn their lines and making friends while they perfect a dance or even build scenery together. Entering its 30th anniversary year, Summer Stage provides a safe and nurturing environment. With programs for children entering kindergarten through 12th grade, the fun lasts for many years. Learn more about Summer Stage at its open house on April 4, starting at 6:30 p.m. at theDennis Flyer Theatre, Lincoln Hall, Camden County College, Blackwood, NJ. 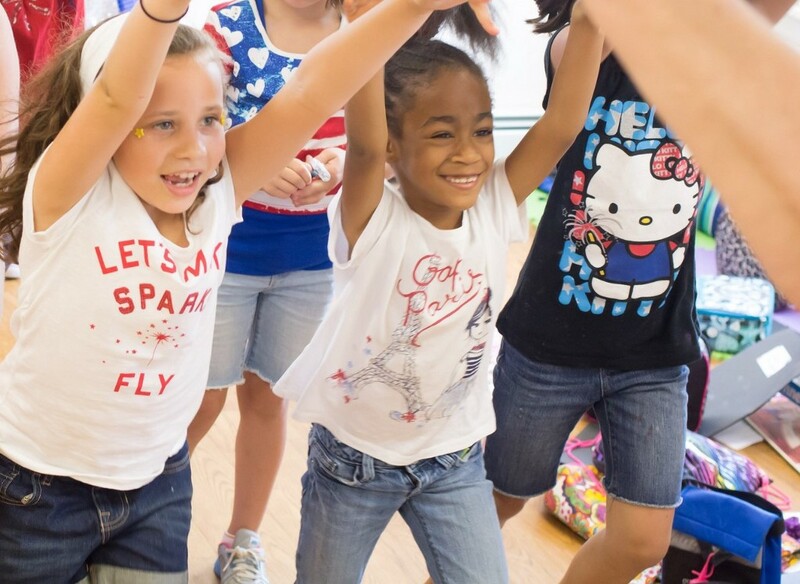 The youngest campers, who are entering kindergarten and first grade, receive a perfect introduction to performing arts through Broadway Babies, a program offered at the Mainstage School of Dance, located at Cherry Tree Center, 475 Hurfville Cross Keys Road, Sewell, NJ. There are two two-week sessions of “Broadway Babies” from 10 a.m. to noon. The next group, Kids Stuff, who are campers entering second and third grade, meets at Mainstage’s Academy Hall, located at 27 N. Black Horse Pike, Blackwood from 9 a.m. to 12:30 p.m. Kids Stuff is offered as two three-week sessions. Kids Stuff participants have the option of extending their day into the afternoon through Collaboration Station, which is an afternoon camp where they keep their creative energies flowing by trying new things like puppetry and pantomime, and Stage Key. Designed to fit parents’ busy work schedules, Stage Key provides before and after camp care. After Broadway Babies and Kids Stuff, children advance to the apprentice program, which is for campers entering fourth and fifth grade. This six-week program is designed to broaden children’s interest in the world of theatre. It takes place at Mainstage’s Academy Hall and also includes the option of full day options through Collaboration Station and Stage Key. “My daughter will be starting her third year at Summer Stage, and she absolutely loves it. She has made lots of friends, the camp has given her confidence, and she adores the instructors…Showcasing what they’ve learned in a true production is a highlight for my daughter Gianna…When I’m scheduling out our summer, the first thing I do is to block out the weeks for Summer Stage,” said parent Linda Reginelli. When students move up to middle school, there is Children’s Theatre for students entering sixth to 12th grades. The behind-the-scenes programs, including “Technical Theatre” and “Video Film Production,” for those entering eighth through 12th grades, are offered on the Blackwood Campus of Camden County. Each of these programs spans seven weeks. Most Summer Stage programs provide performance opportunities. In Children’s Theatre, each participant will have the chance to perform in one of the three shows, plus the final musical revue. This year, the season includes “The Little Mermaid, Jr.,” “Camp Rock, Jr.,” “Mary Poppins, Jr.” and “Magic Up Our Sleeve,” a musical revue. “Summer Stage is a great place where everyone has opportunities. The staff and campers are so welcoming. During the past four summers, I have made so many friends and have grown as a performer. I looked forward to waking up every morning in the summer just to go to summer stage,” said camper Shannon Enright.